1Ls, 2Ls, and 3Ls: Check this cheat sheet for upcoming government honors deadlines. Good luck preparing your applications. Applications are due by February 8, 2013. Fellows working with INT’s Directorate of Operations’ investigative unit will assist with all aspects of INTOP’s investigative work, including developing investigative strategies, analyzing collected evidence, and drafting reports stating INT’s findings for the World Bank President. Fellows working with the INTOP’s Special Litigation Unit (SLU) will, among other tasks, draft Statements of Accusations and Evidence and other legal documents; review investigative reports for evidentiary support and adherence to the Bank’s framework; assist SLU lawyers in addressing specific issues; and partner with investigative teams on specific cases. 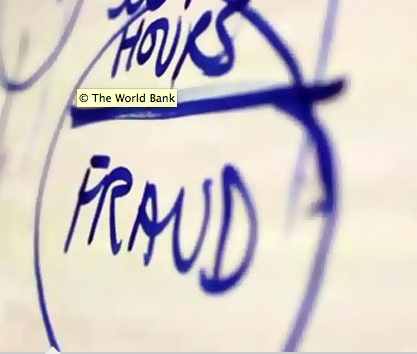 Fellows working with the INT’s Preventive Services Unit (PSU) will assist the PSU in providing practical, operational support to World Bank clients and staff to help identify and prevent fraud and corruption in Bank-funded activities. Qualifications: Fellows are expected to participate in open debates between the representatives of different legal systems and contribute to solutions that take the Bank’s international legal framework into account. Salary: These positions are unpaid, will last approximately 10 weeks, and require Fellows to have funding. Start and end dates are flexible. Application Instructions: If you are interested, please submit a cover letter, resume, unofficial transcript, and short writing sample to Robert Delonis, Esq., INT Senior Litigation Specialist, at rdelonis@worldbank.org. Candidates may be asked to supply references. The Department of Justice, Executive Office for Immigration Review in Tacoma’s Immigration Court is accepting applications for summer internships. The internship will entail in-depth research and analysis of novel legal issues, as well as preparation of legal memoranda for the immigration judges. Drafting decisions on applications for relief from removal, such as asylum, withholding of removal, and protection under Article 3 of the U.N. Convention Against Torture. Interns will have an opportunity to draft several decisions that will be taken under advisement by an immigration judge. Interns can expect to complete assignments that may later be used as writing samples. In addition, interns will be able to observe a variety of matters brought before the court. The intern will work under the supervision of the court’s judicial law clerk but will also have substantial interaction with the individual immigration judges. Qualifications: Law students in their second or third year of law school are eligible and encouraged to apply. Prior knowledge of immigration law is helpful but not necessary. Strong research and writing skills are required. Ability to work under deadlines required. All applicants must be United States citizens and must successfully complete an FBI background check before beginning their internship. Application Instructions: Interested students must submit a cover letter detailing their interest in the internship, resume, 5–10 page writing sample, law school transcript (unofficial acceptable), and contact information for three references by Monday, February 11, 2013. Interviews will be scheduled as soon as possible after the closing date. Please submit application materials and direct inquiries to Casey Wallace, by phone at 253-396-8410 or via email at catherine.m.wallace@usdoj.gov. The deadline for applications is Friday, February 15, 2013. The internship will entail in-depth research and analysis of novel legal issues, as well as preparation of legal memoranda for the immigration judges. Interns will have an opportunity to draft several decisions that will be taken under advisement by an immigration judge. · Drafting decisions on applications for relief from removal under Article 3 of the U.N. Convention Against Torture. Interns can expect to complete assignments that may later be used as writing samples. In addition, interns will be able to observe a variety of matters brought before the court. The intern will work under the supervision of the court’s judicial law clerk but will also have substantial interaction with the individual immigration judges. Qualifications: Law students in their second or third year of law school are eligible and encouraged to apply. Applicants must currently be in student status. Prior knowledge of immigration law is helpful but not necessary. Strong research and writing skills are required. All applicants must be United States citizens and must successfully complete an FBI background check before beginning their internship. Salary: This internship is an unpaid volunteer position. However, students may be eligible for academic credit and are strongly encouraged to contact their law school to determine their eligibility. Application Instructions: Interested students must submit a cover letter detailing their interest in the internship, resume, 5–10 page writing sample, law school transcript (unofficial acceptable), and contact information for three references by Friday, February 15, 2013. Please submit materials in one pdf document to sarah.pixler@usdoj.gov. Interviews will be scheduled during the month of February. Priority will be given to applicants who can commit to working at least ten weeks, full time, during the months of June-September. Application deadline is February 25, 2013. The Oregon Law Center (OLC) seeks a bilingual (Spanish/English) staff attorney for its Farmworker Program to focus on issues affecting employment and other priority issues for agricultural workers in Oregon including health and safety and unlawful discrimination. The position will be located at OLC’s Farmworker Office in Hillsboro. OLC is an effective legal services program committed to achieving justice for the low-income communities of Oregon by providing a full range of the highest quality civil legal services. OLC does not receive funding from the federal Legal Services Corporation. ← Upcoming Events This Week!